If you work for a non-governmental organisation and use data, design and technology for advocacy then we will give you a free copy of the book. In return we ask that you promote the book in your community through an event, a blog post or a book review. 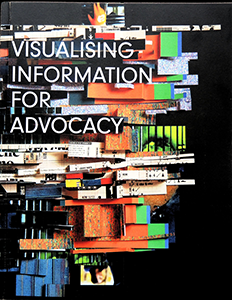 Fill in the form to get a free copy of Visualising Information for Advocacy. If the book will be a useful resource for your network and you would like to receive numerous copies, you can become a local distributor. Get in touch with us to find out more.